This year, in my school, Școala Gimnazială Nr. 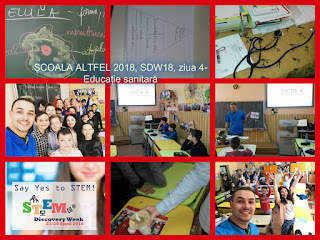 9 „Nicolae Orghidan” Brașov, between 26th and 30th of March, an event dedicated to STEM education was organized for providing opportunities for learning STEM topics to young students – aged 6 to 11. 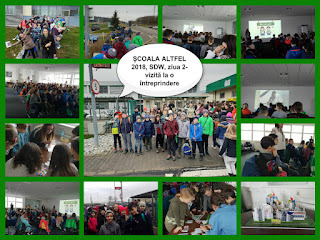 For five days, the students visited companies, met engineers, doctors or scientists, made experiments discovered on Scientix Resources section and created posters. 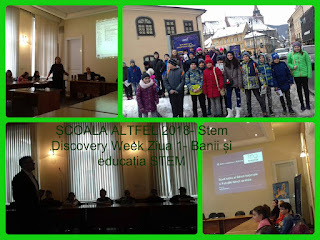 On the first day, the students visited the National Bank of Romania headquarters in Brașov in order to understand the relation between STEM and financial education. In the second day, students aged 10- 11 visited Schaeffler Romania S.R.L . (https://www.schaeffler.ro/remotemedien/media/_shared_media/03_worldwide/02_websites_worldwide/romania_1/SchaefflerRomania_EN_2016.pdf). Schaeffler Romania is a company which is specialized in industry and automotive. During the visit, the students met STEM professionals, asked questions about the products and saw how the workers and specialist worked together to move the world! Now, they know more about STEM professions. The third day was dedicated to experiments! The students were teachers for one day: they prepared an experiment and made it with their colleagues. Then, they presented the conclusions to their peers. 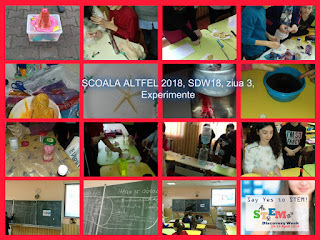 All the experiments were made by the children and they enjoyed the activity a lot as they understood better some STEM phenomena! On Thursday, one student from the local University of Medicine was invited to talk to the children about his future job. He held a course related to human body and hygiene and taught the students how to maintain their health. 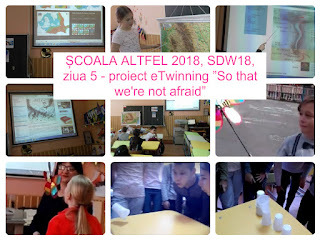 The last day of the week was dedicated to our eTwinning (https://twinspace.etwinning.net/45279/home) and Erasmus + (https://twinspace.etwinning.net/45916/home) projects. The students worked on some STEM activities based on Scientix resources, visited the TS and presented their work to other classes. Finally, one poster session was organized and the students presented their experience after one whole STEM activities dedicated week. Join STEM Discovery Week 2018 and tell the world about it! Good luck!